This is a normal post. The Hubble Space Telescope is a time machine. 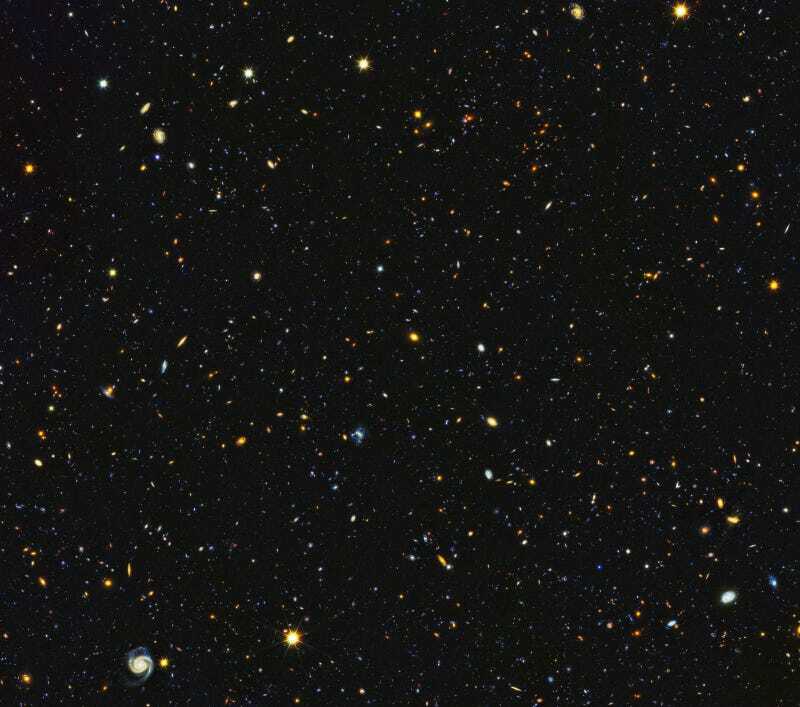 Images like this reveal the earliest galaxies, because they gather light in the infrared range. Hubble is especially designed to look at that spectrum, and these dazzling galaxies were captured by the ‘scope in 2014. This particular photo combines infrared data, which highlights the older galaxies, and visible light, which highlights the newer ones.